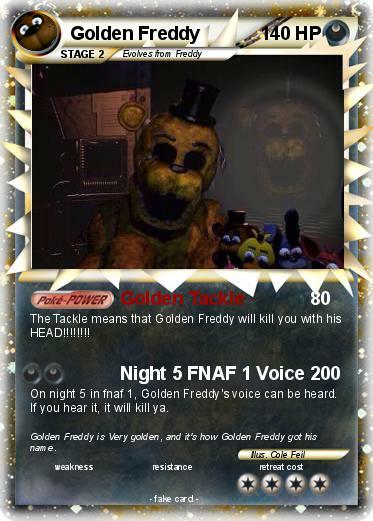 The Tackle means that Golden Freddy will kill you with his HEAD!!!!!!!! On night 5 in fnaf 1, Golden Freddy's voice can be heard. If you hear it, it will kill ya. Comments : Golden Freddy is Very golden, and it's how Golden Freddy got his name.